With the recent release of The Hateful Eight we’ve now been treated to (aptly) eight Quentin Tarantino films that have all in their unique ways entertained us, shocked us and showcased to us the gift QT has for his craft as both a director and a writer. Over the course of 8 feature length films, a couple of guest directing gigs and even a couple of episodes of C.S.I and a singular E.R venture, QT has stamped his voice onto the industry with his original way with both the written word and skill behind the camera, not to mention his ability to draw performances out of struggling or no named actors (here’s looking at you John Travolta). It could be argued that QT has never made an irremediably bad film and while there were suggestions that the highly intelligent director (whose I.Q rates well above average) and one time video story employee would stop making feature films after his 10th movie, there’s hope that for many years yet this original talent will continue to work in the industry that needs him more than ever. For consistency sake, guest directing jobs that QT has worked on in the films Sin City and Four Rooms are not included in the below list while his somewhat mysterious first feature from 1987 that was a D.I.Y effort, My Best Friends Birthday has also been excluded. A homage to old school Grindhouse, Death Proof (which was a part of the Grindhouse double bill experiment with Robert Rodriguez) is a light yet enjoyable film that was also QT’s biggest Box Office and critical flop. There’s small moments of genuine brilliance here but only the most dedicated of QT fans could defend Death Proof when compared to his filmography overall. How does one follow up the 1 and 2 double hit of Reservoir Dogs and Pulp Fiction, if you’re Tarantino it’s with this Pam Grier lead thriller that also features one of Tarantino’s most star studded cast’s. Reception upon release for Jackie Brown was somewhat muted but in the proceeding years that’ve followed it’s found itself a small yet vocal fan base. 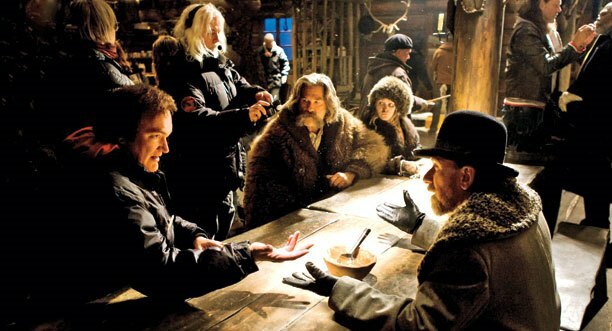 A love letter to westerns of old, The Hateful Eight is arguably Tarantino’s most dialogue heavy and dialogue focused feature that spreads itself over 5 chapters. A majority of these chapters are fantastic but as the run time continues to tick and the narrative drives itself into a corner, The Hateful Eight becomes an enjoyable if somewhat lacking entry into the directors loaded canon. Arguments may be made as to why the Kill Bill volumes aren’t separated on this list, Kill Bill was made and directed by Tarantino as one 4 hour long film that was then split for financial reasons by the Weinstein’s. Kill Bill which takes many of its ideas and even scenarios from the legends of Japanese cinema, is a violent tale of revenge and samurai swords that is both gleefully fun and highly intense. Style over substance for sure, the Kill Bill adventure is a highly enjoyable one. 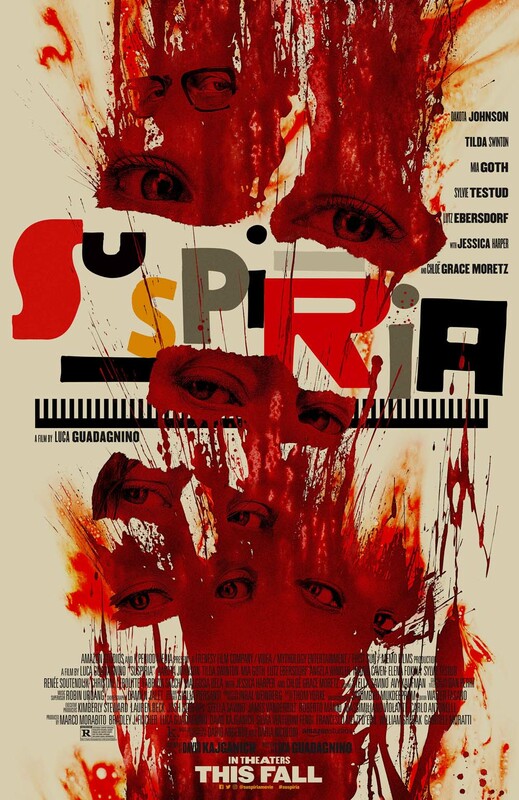 Who would’ve thought that a low budget movie set almost entirely within an abandoned warehouse and where most of the interesting scenarios play out off screen would’ve launched the career of one of the modern era’s greatest filmmakers? Gathering what would’ve been then a dream cast, Tarantino’s feature length debut showcases what’s best about the filmmaker, scripting, characters and stories and to this day this low budget grunge filled crime film is a real blast. QT does World War 2 and boy does he do it well. Introducing the world to Christoph Waltz, a scalp loving Brad Pitt and an alternative ending to the terrible war, Inglorious is an epic war time yarn that is brutal and bloody but also a heck of a lot of fun. A film that is both brutal and funny and also far too close to home for some, Django Unchained saw QT team up with Jamie Foxx, Leonardo DiCaprio, Samuel L. Jackson and Christoph Waltz to great effect. Django, which was a huge box office and critical success, saw QT at his best since his early beginnings and one can only hope that he acts upon his desire to direct three Western films. Little needs to be said of Pulp Fiction. QT (and no doubt Roger Avary) created the rare type of film that has seeped into pulp culture of all kinds as both a lauded and loved film from critics and audiences alike. 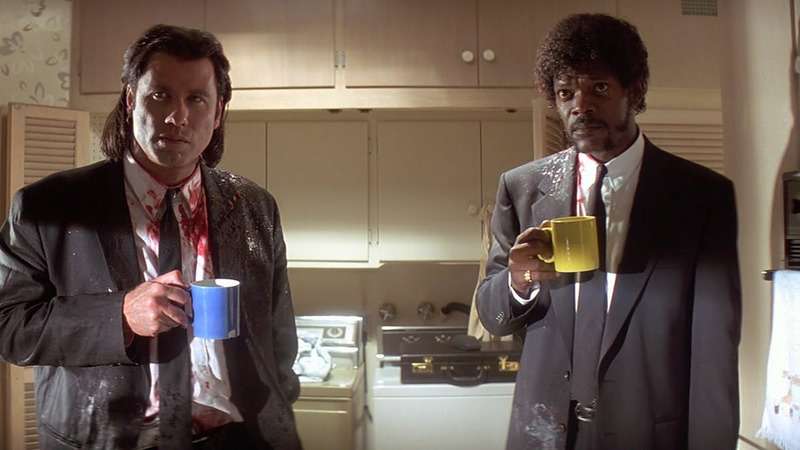 Reviving the career of John Travolta and in some ways Samuel L. Jackson, creating a unique McGuffin filled narrative and giving airplay to gimps the world over, Pulp Fiction is an out and out Palme d’Or winning masterpiece of the likes we will perhaps never see again. How does list compare to your thoughts? 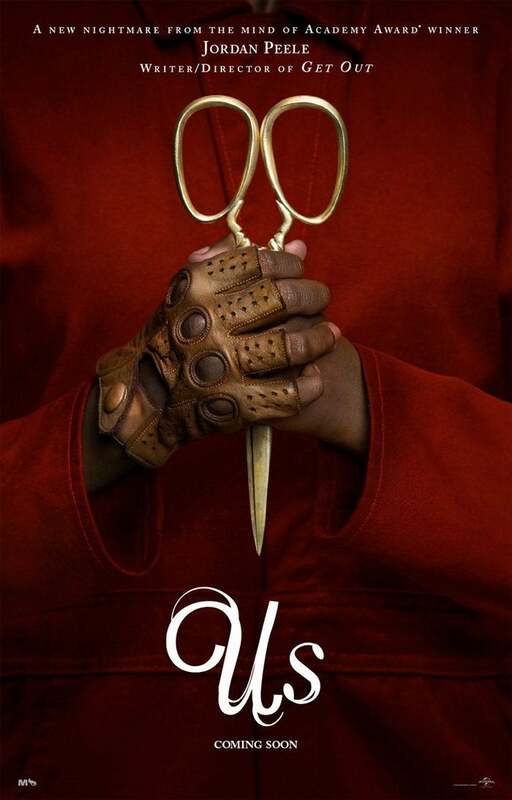 Perhaps there’s another #1 on your mind or is there an underrated gem in Tarantino’s filmography? If so we’d love to hear from you in the comments below! Solid list Eddie, really great work. I am a huge Tarantino fan for sure 🙂 My favourite is Inglorious Basterds. It never gets old, and there are so many reasons to love it! His films are all very easy to like Zoe 🙂 Can’t wait for his next flick. Agreed mate. His films are just so consistant. Very good list, I have to agree with Pulp Fiction for the champion. It’s going to take something very special for it to be dethroned id reckon. I haven’t watched Jackie Brown and Death Proof, but I am in full agreement with the list as far as the Top 6 goes. I might switch Django for Inglorious, but it really depends on my mood. There all pretty darn good buddy! I love Kill Bill so I probably would have ranked them higher, but great list! Wish they all couldve been higher ha 🙂 feel like watching them all again now actually. Watching The Hateful Eight tonight, so I’ll have to see where it belongs on the list. Agree Pulp Fiction is at the top just for the influence it’s had over the past 20 years (wow – now I feel old), but Kill Bill II is my favorite. Hope you enjoyed 8 mate. Its a fun film but far from his best. Haha it certainly went to some insane places! Might have to revisit Jackie Brown, its been quite a while. Great list. I would not have Django so high up though. The first two acts are fantastic but the final act bloodbath bored me. And while I love Pulp Fiction Inglorious Basterds is my top pick. Flawless movie. Cool to hear mate, its a tough choice taking Pulp away from the number 1 spot but I am sure there are lots of others out there that would agree with you. It is a pretty darn awesome film! Pulp fiction my favorite by far but the second one would of been Inglorious Basterds. I would of put Jackie brown last it was too long and I was not crazy about it. Nicely done for the list. Cheers dude. I cant wait to see what his next project is. Great list! I agree with most of it, would likely just put Inglorious Basterds higher a little. Glad to hear we pretty much nailed it Mohin, its a ripping filmography. 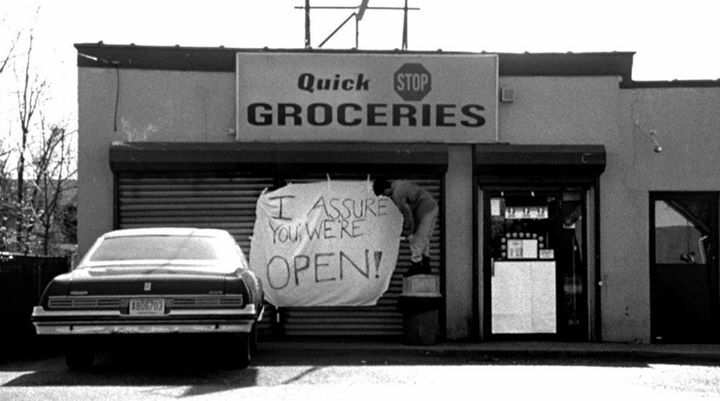 Love this post, do you ever publish your work on any film sites? Hi mate cheers. No we dont actually. Not to say we wouldnt but the right chance hasnt come our way yet. Well, I am a manager over here at Moviepilot.com and I think the content you two are writing would really be enjoyed by our readers. Would you be interested in giving it a try? Yeh absolutely mate I mean we’d be happy for you to use any content we have from the past or future to use on your site 🙂 feel free to contact us more if we need to discuss further. Great ranking, although I’d invert Pulp Fiction and Django 🙂 To me, Django is Tarantino’s real masterpiece. It was the first film in which he had to mask all of his references. No one could speak about film because they simply weren’t around at the time 🙂 Tarantino relied on the audience’s knowledge to fill in the pastiche. Great stuff! It was a ripping flick mate. Glad u liked it so. 1. 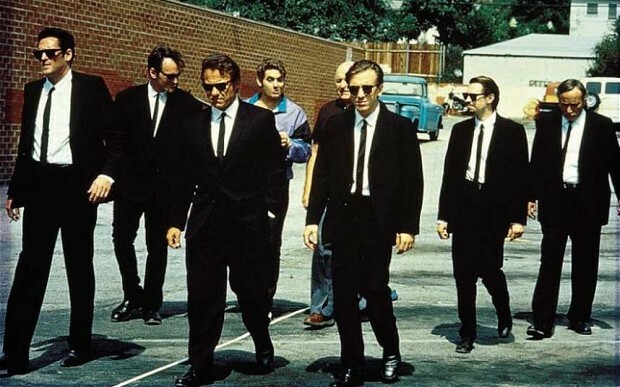 Reservoir Dogs was an astounding piece of work……………probably the best crime caper flick of all time in my books – Tim Roth, with his flashback stuff was truly outstanding! I took my mum to see it and she said it reminded her of ‘those crime films of the ’40s’ (her era-film noir) and to me, QT couldn’t get a better rap than that! 3. Inglorious Basterds – purely for the opening nail-biting sequence, which still shatters me even though I’ve watched it numerous times and Fassbender in the bar playing the guessing game! Astonishing! Made Fassbender a star! 4. Kill Bills……….etc. etc. etc.